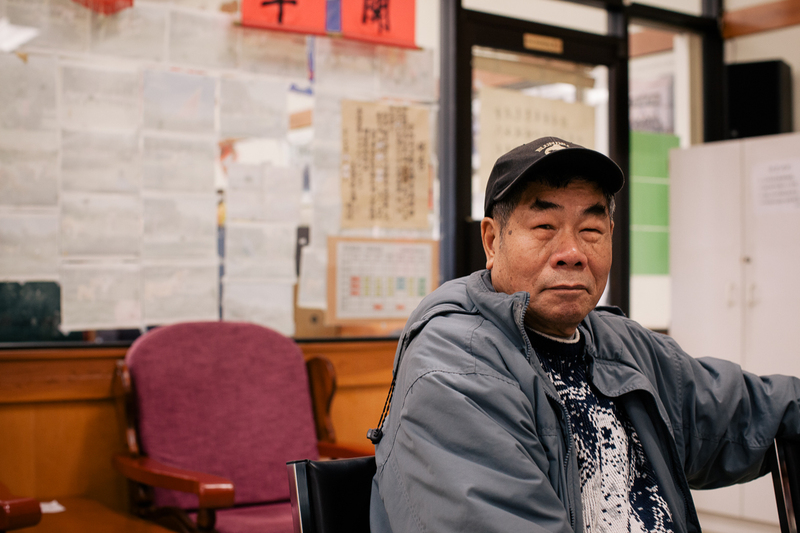 I know I’ve completed neglected this blog, but now seems to be the perfect time to revive it with so much happening in the Chinatown community this past year and my increasing involvement as well. 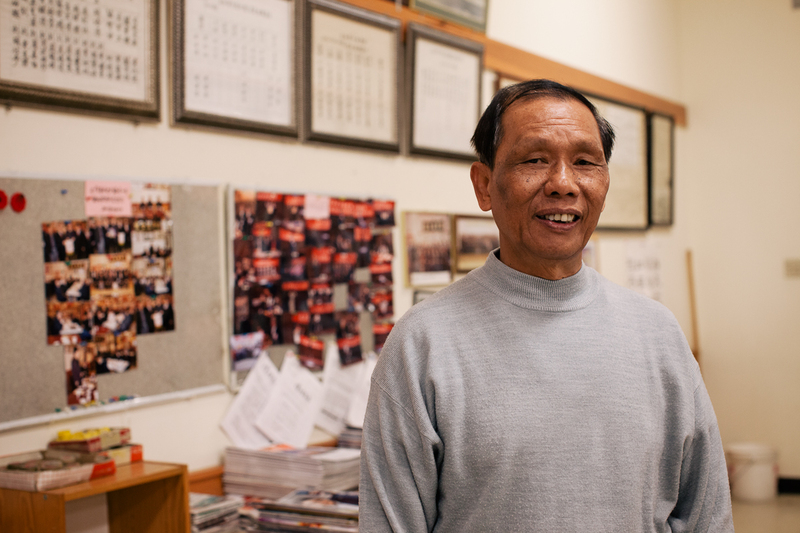 Since my last post, my sister and I got elected to be new members on the Hoy Ping Benevolent Association (HPBA) Board of Directors, I’ve been participating at the Vancouver Chinatown Revitalization Committee meetings and am connecting with more people to discuss some of the invisible issues amongst the Chinese community. 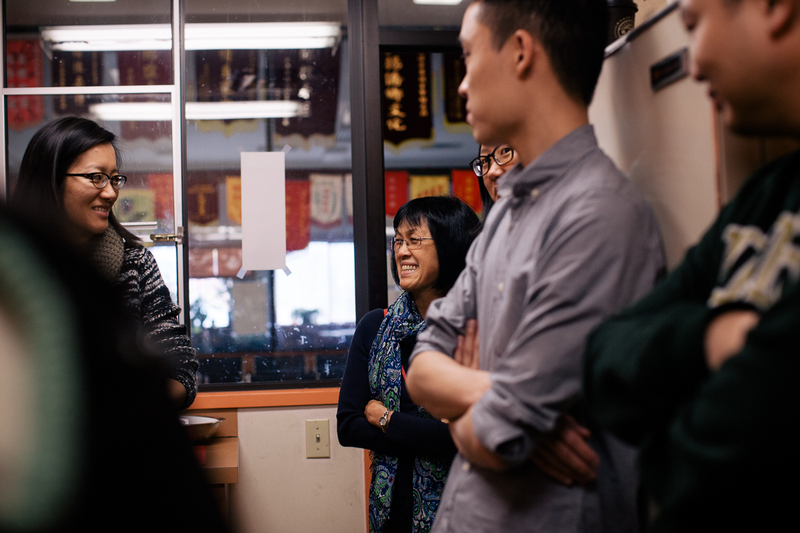 In the past year, I’ve met many young Chinese-Canadian youth like myself, looking for opportunities to get involved in the Chinatown community and wanting to “get back to their cultural roots”. 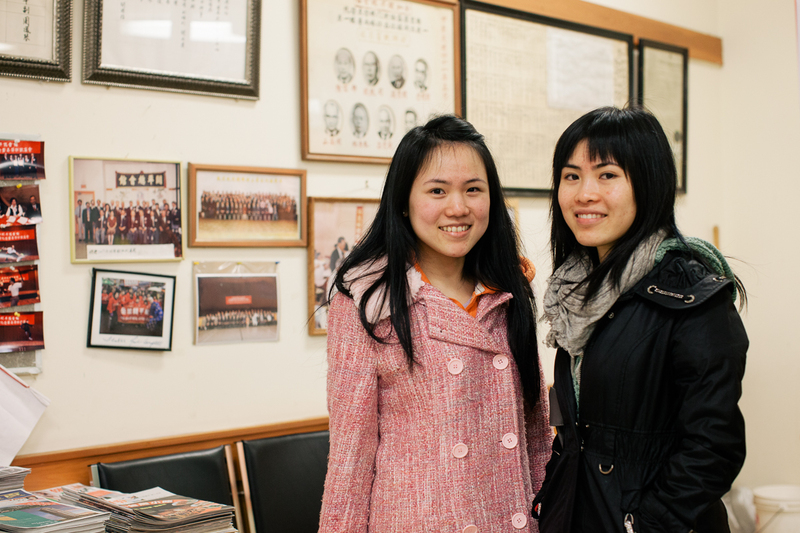 In October, after prancing around in our navy blue suits and giant HPBA badges at the 64th Anniversary dinner of the People’s Republic of China, my sister and I met another pair of sisters who are young board members of the Lee Benevolent Association. What was supposed to be a meeting of a few young board members turned into a meeting with about a dozen others! 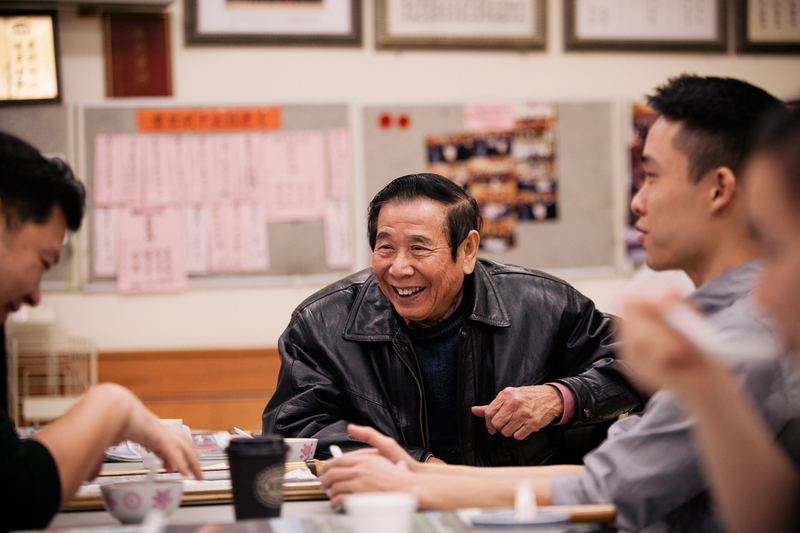 While sipping on milk tea and eating egg tarts at the back of Newtown Bakery in Chinatown, we discussed our concerns around the lack of young talent and engagement in Chinatown benevolent associations/societies. 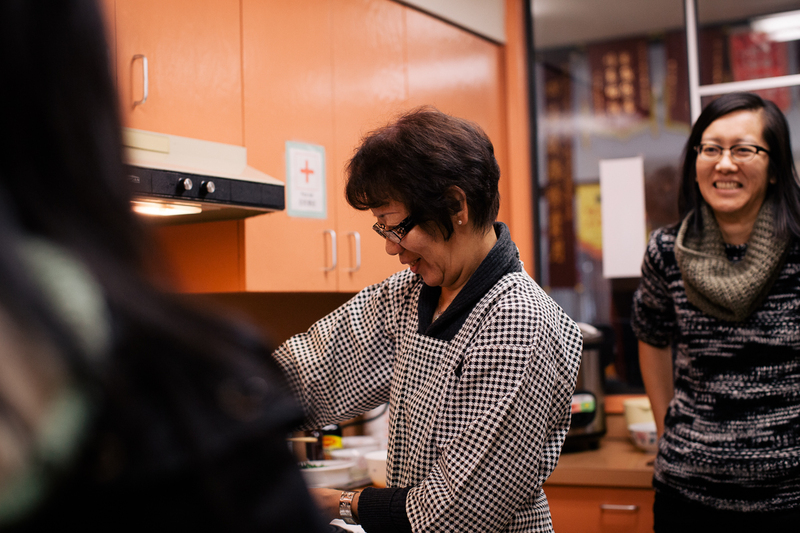 Filled with inspiration, ideas and passion from the group, my sister and I revived the idea of coordinating an Intergenerational Chinese Community Kitchen at the HPBA and invited those from the meeting to come participate. As a pilot, we wanted to test the level of interest among youth, the level of interest from the elder chefs and the possibility of turning this into an ongoing program of the HPBA as a means of getting more youth involved. Participants from other associations/societies came to see how it could be done in order to implement it at their respective organizations. So, the result? Some good learning lessons, but fairly good success! There was lots of interest from youth with many RSVP-ing. Some couldn’t make it because of the semi short notice (an email notification was sent out 1 week prior), but nonetheless, the interest was there. And though we had a menu planned around the theme of eggs, again, due to short notice, our chef was unable to make it. So first lesson – give people time! Despite this hiccup of having the chef abandoning the task, we thought of the best chef we knew – our mom. 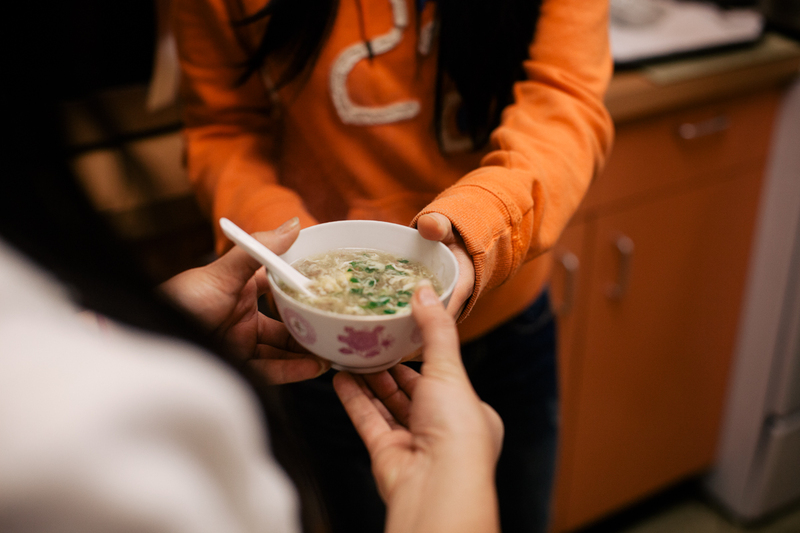 Enlisting her help, she came and taught everyone how to make Ground Beef & Cilantro Egg Drop Soup. It’s simple, fast and cheap to make. The recipe can be found below. 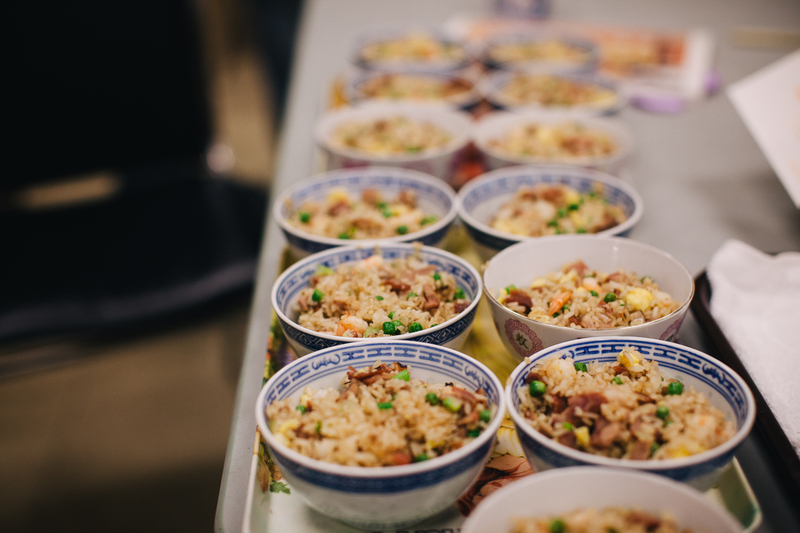 Following the soup, everyone pitched in to help dice ingredients for BBQ pork fried rice (my lazy man’s recipe can be found here). 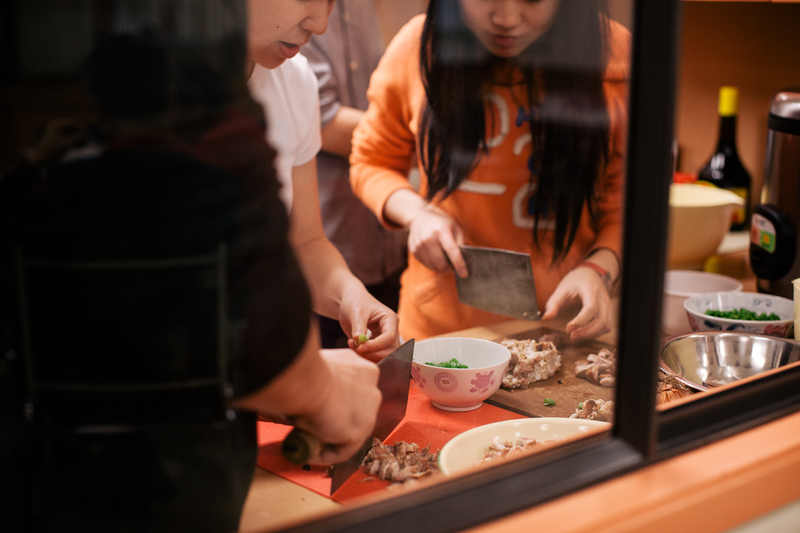 And last but certainly not least, many thanks to Josie Pure Souls Media for taking all the beautiful photographs from the cooking session! 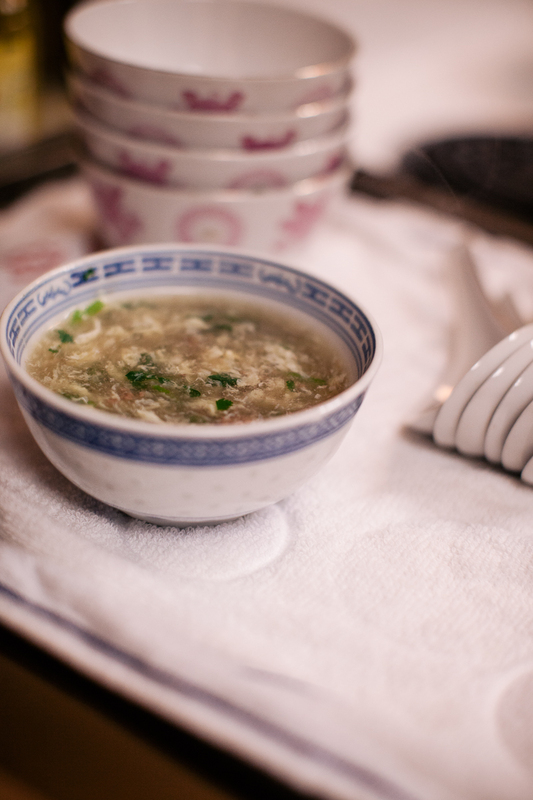 Egg drop soup is a Chinese soup featuring wispy beaten eggs. It makes a quick, easy, comforting meal. 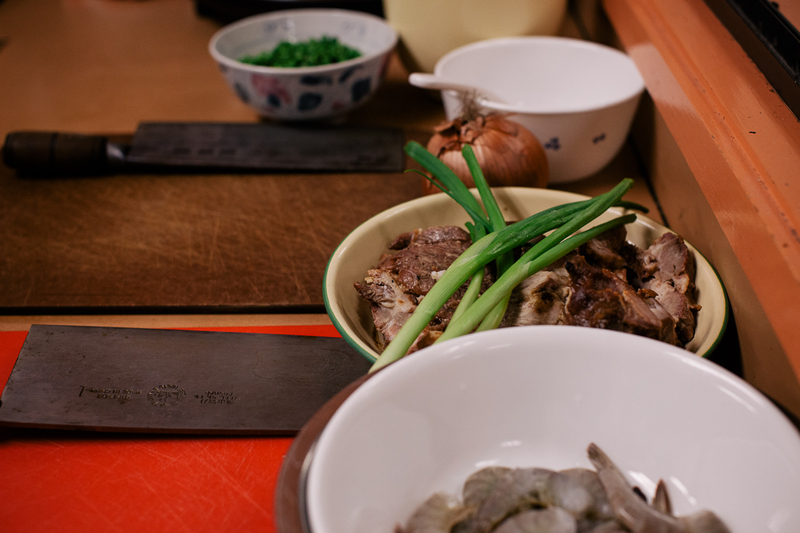 Marinate the ground beef with soy sauce, sesame oil and cornstarch to tenderize. Brown the beef in a small saucepan over medium high heat. In a large soup pot, bring the chicken broth and water to a rolling boil. Add the cooked beef. Mix the water chestnut powder with ½ cup water in a small bowl until smooth, or shake up in a small jar. Add slowly to the boiling soup while stirring to thicken to the desired consistency. Add the eggs slowly in a thin stream while stirring the soup. The eggs should cook immediately, creating thin, silken strands of cooked egg that float in the soup. Stir in cilantro. Season with salt. Serve with white pepper. Create a heartier soup by adding cubed tofu. This soup can be made vegetarian by substituting vegetable stock for the chicken stock, and cubed tofu for the ground beef. Cornstarch can be used as a substitution for the water chestnut powder if the soup is consumed immediately; otherwise any leftover soup will liquefy again. Water chestnut powder can be found in Chinese grocery stores for less than $3 for a Jello-sized box. Seeing the success of this first session, we’ll be opening it up to invite others to join us. I know some of you are anxious to come participate!